Planning Permission for conservatories and orangeries and Building Regulations for conservatories are often confused with each other but in general terms, Planning Permission deals with the right to make changes to your home and Building Regulations refers to how those changes should be properly constructed. 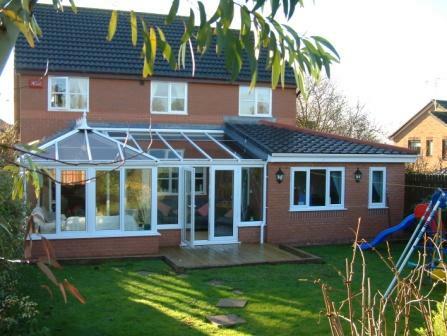 A good surveyor can advise you of the need for planning permission for your conservatory or orangery and also whether building regulations may apply, although ultimately it is the responsibility of the home owner to ensure compliance with current regulations. Often a minor change in design or size, or the addition or exclusion of a particular feature can be the difference between whether planning permission or building regulations approval is required for your conservatory. Additionally, and just as importantly, a surveyor can help you to ensure that your conservatory or orangery is constructed with regard to good building practice, many characteristics of which are outside of the scope of both planning and building regulations. ¹ Original house means the house as it was first built or as it stood on the 1st July 1948, (when current planning permission law, as amended, was introduced) if it was built prior to that date. Contrary to a common misconception, extensions built by a previous owner are taken into account when deciding whether permission is required for a proposed extension. ² Designated land includes National Parks, the Norfolk Broads, Areas of Outstanding National Beauty, Conservation Areas and World Heritage Sites. Additionally, where work is proposed on a listed building, listed building consent may be required in addition to planning permission. 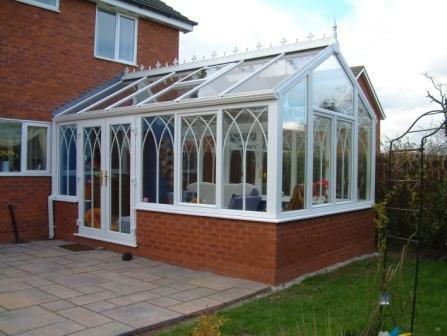 As regards planning permission for conservatories or orangeries on your home, building a conservatory or orangery is considered by the local authorities to be permitted development, which means that it does not need an application for planning permission as long as certain conditions are met. The planning rules clearly state what is not considered permitted development and therefore when planning permission for conservatories and orangeries is required. What is not so commonly known is that local authorities can withdraw permitted development rights, and quite often do for an entire new development or estate of properties, so it is always the advisable to check with your local planning authority. Another consideration to be aware of when planning a conservatory, particularly if your property is relatively new, is that of builder’s consent. Often when a new development or estate of houses is constructed, covenants are placed on the deeds of properties which restrict the types of things which can be done in the vicinity. Sometimes developers will restrict the parking of caravans, boats and commercial vehicles on driveways but more importantly they will regularly include a requirement for builder’s consent to be granted prior to any extensions to properties being commenced. Usually the covenants only last for five years but it is certainly worth checking to avoid potential problems at a later date. The builder will typically request a drawing of the proposed conservatory together with an administration fee but the applications are rarely refused due to the threat of a potentially expensive legal challenge. • Glazing and any fixed electrical installations must comply with the applicable Building Regulations requirements. • Any new structural opening (or widening of an existing one) between the house and the proposed conservatory or orangery will require Building Regulations approval even if the conservatory or orangery itself is exempt. 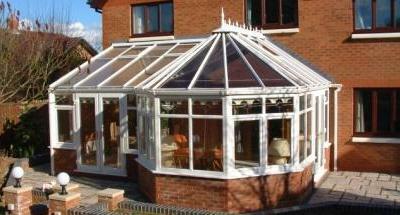 This information about planning permission for conservatories and orangeries is provided for your guidance only. The rules relating to Planning Permission and Building Regulations are constantly changing and you should check with your local planning authority or Building Control department for clarification regarding your individual situation and in case there have been any changes in regulations since the publication of this website.